As language nuts, we often get asked by tentative, wannabe linguaphiles: which is the easiest language to learn? Well, we’re well-equipped to answer that. That is, at least from the perspective of experts on one part of speech: the verb. We’ve worked tirelessly on verb drill apps for some time now. We love verbs. And it’s given us the kind of overview that language geeks like us crave. The verdict: the Scandinavian trio – Danish, Norwegian and Swedish – are by far the easiest languages to learn from a verbs point of view. Why is this, you ask? Well, unusually for most European languages, verbs don’t change for person. That’s right – they’re the same all the way through I, you, he/she it, to we, you (plural) and they. English – usually the ‘easy grammar’ candidate – is left in the dust by the Scandies here! However, if your native language is English, Dutch or German, you’ll be used to this system instinctually. Another reason the Scandinavian languages are easiest for verbs! Also, let’s not discount the wonderful challenge – and logical beauty – of complex, highly inflected verb systems. There’s something deeply satisfying about getting all those Spanish / French / Polish / Hungarian endings right. Sometimes, easiest doesn’t mean more fulfilling! Posted in Danish, Grammar, Norwegian, Swedish, VerbsTagged best, easiest, easy, hints, language, language learning, languages, MFL, simple, simplest, tips, verbs1 Comment on Easiest languages – from a Verb Blitz point of view! 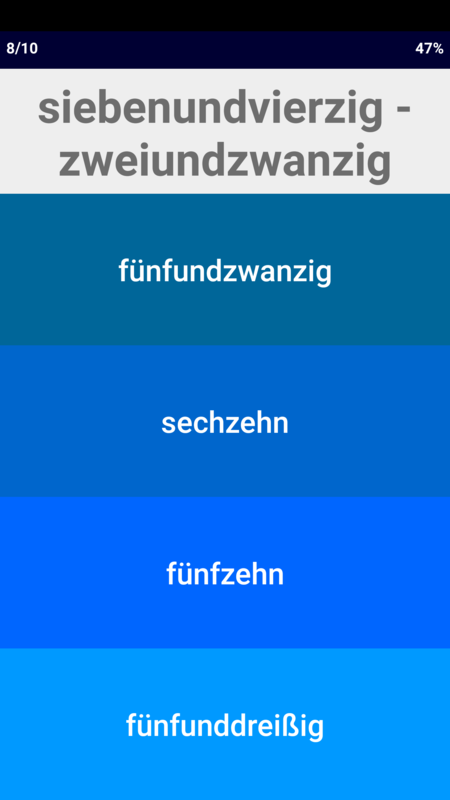 Posted in Android Apps, Apple Apps, Grammar, Latvian, VerbsTagged conjugation, declension, grammar, language, Latvia, Latvian, latviešu, latvisks, valoda, verbsLeave a Comment on Latvian verbs? No problem! The latest version of RusMate Russian Vocabulary Booster has been released, including brand new topics, new words for existing topics, and a whole new tracking system so you can keep tabs on what you’ve been learning and how well you’ve done in the exercises. As always, full native speaker support is provided for the words. The update is free for existing users of the app, and otherwise available for the same great price of £2.39 from the iTunes App Store at this link. Posted in Apple AppsTagged language, learning, new version, russian, topics, vocab, vocabularyLeave a Comment on RusMate 1.4 released!